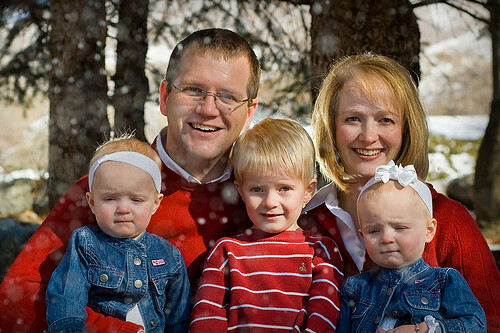 Home Family and You Make Sure Your Family Portrait Christmas Cards Turn Out Great! Make Sure Your Family Portrait Christmas Cards Turn Out Great! It is time to start planning this year’s family photo for your holiday cards. We all know this can be a bit overwhelming if you are the member of the family planning the event. These tips from Glamor Photography will help make your photo shoot less stressful and ensure that your Christmas cards turn out great! If you are arranging for extended family to be a part of your shoot they will need warning to fit it in to their schedules. If you want them to wear anything in particular they will also need the extra time to put it together, even if it is just a white shirt and jeans. Give them as much advance warning as you possibly can. You will also need to remind them in a bit of a "count down" fashion. Send out a text reminding them two weeks in advance, then again one week in advance and again the night before. If you have one of those extra forgetful family members you may need to send one the morning of as well. Planning ahead will also help with scheduling your photographer. Go with an artist that has a good reputation. Check out our Glamour photography ratings when deciding who will do your photos this season. It is always best to give your photographer an idea of what kind of look you are hoping for. If you do not know what you want look at other family photos you have received as a holiday card or look on line at different photos. Your photographer may have a collection of family shoots on their website that you could look through. Plan to do something fun after your photo shoot. See a movie or get some ice cream. You will be able to remind children that there is something fun coming. This may help motivate them to focus for the picture taking. However, you should not threaten the child with loss of something fun, this could send them in to a spiral of tantrum throwing. Nobody's family is perfect. Remember that. Your family has little quirks that make it unique. This will show up somewhere in your picture. Try to relax and have fun during your family shoot. Ask the photographer to take a few silly shots with everyone making faces or posing in a unique way. These goofy shots just may become your favorites. Happy holidays! Check out our site and look up Glamour photography ratings when deciding who will do your family Christmas cards.